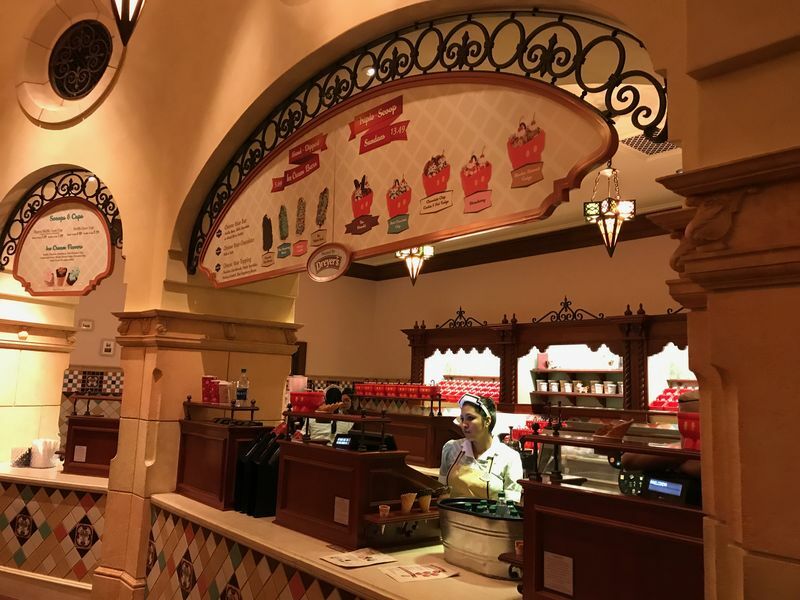 Read our weekly Disneyland Park Update for current news about the Disney's California Adventure and the Disneyland Resort. There might be some impulse to think of Disney California Adventure as the little brother of Disneyland. 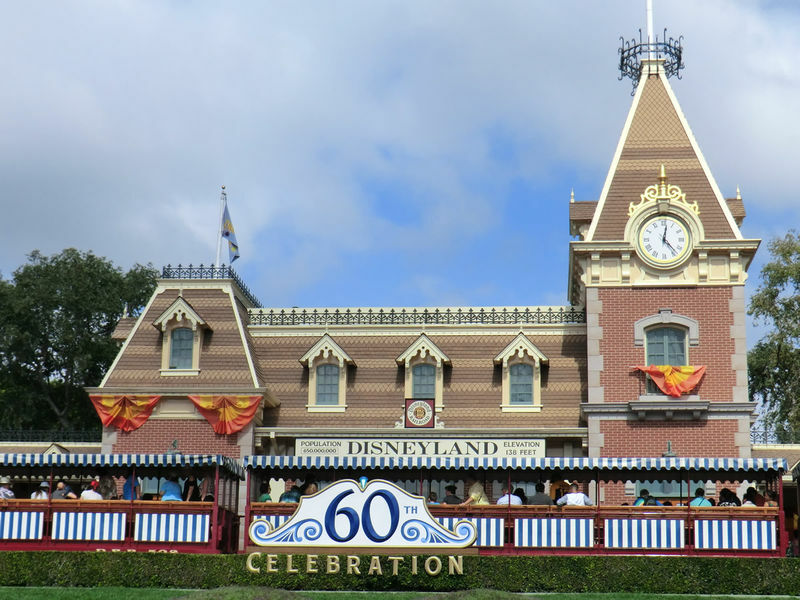 Perhaps a more accurate description would be that Disneyland is the granddaddy of all theme parks and Disney's California Adventure is a grandchild still struggling to define itself. In Florida, Disney began experimenting with the theme park template established by Disneyland and when it was decided to add a second park to accompany Disneyland it was to these second-generation theme parks (such as Disney's Hollywood Studios and Animal Kingdom) that management and the Imagineers looked to for inspiration. From the first announcement, many people wondered why Disney would open a California-themed park in the middle of California and to a degree these doubts have been born out by lower attendance. Despite this, Disney California Adventure is a lavishly themed and decorated park, and looks especially good at night. Every park visitor should give it a chance before relying on the reviews of others. Disney California Adventure underwent extensive renovations from 2009-2012, including the addition of Cars Land, and the retheming of the entry to Buena Vista Street, celebrating Los Angeles in the 1920s. Location: Anaheim, California. Approximately 30 miles south of Los Angeles. Park Hours: Disney California Adventure is open seven days a week, every day of the year, holidays included. Hours vary by day of the week and season. 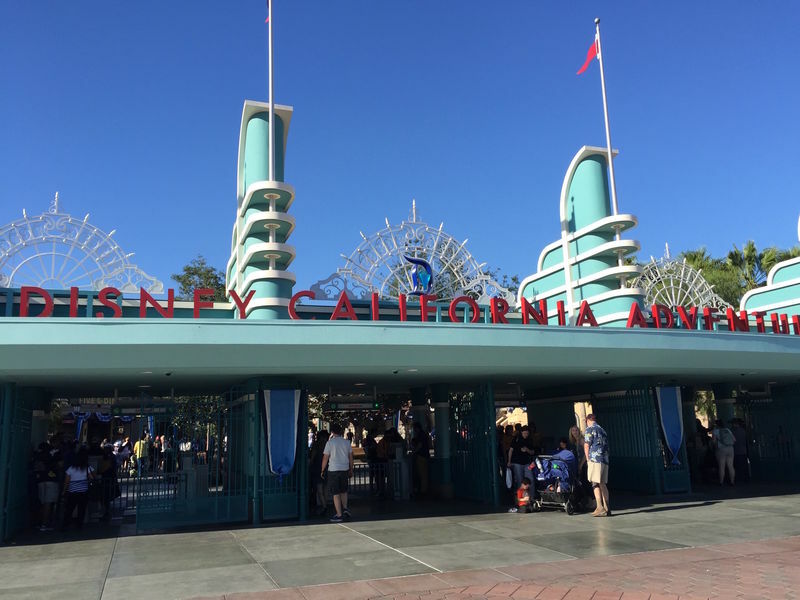 As a general rule, Disney California Adventure will close two or three hours earlier than Disneyland on a given day, and as early at 6 p.m. on off-season weekdays. The park also generally opens an hour later than Disneyland. Upcoming Hours: Park hours are subject to change without notice. Hours can be confirmed at the official Disneyland Web site. 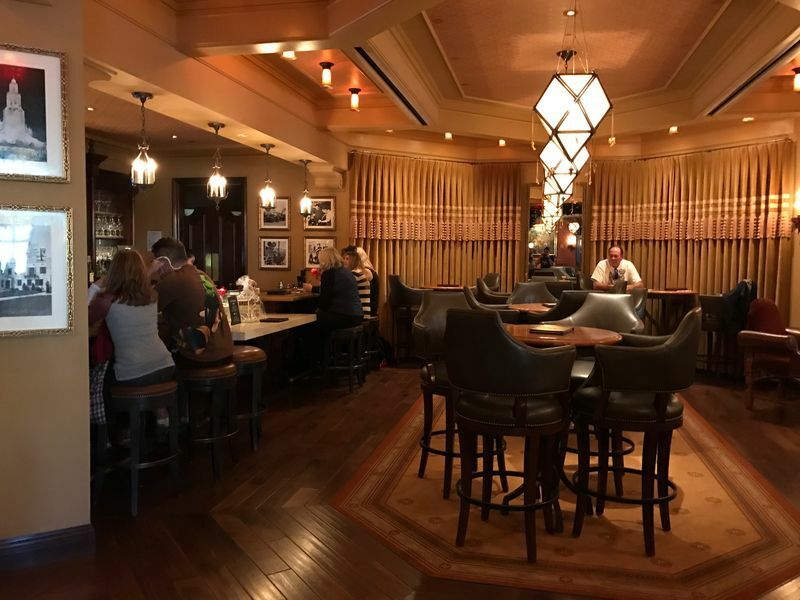 Extra Magic Hours for guests at Disneyland Resort hotels: Extra Magic Hours allow guest at Disneyland Resort hotels to enter the park one hour prior to scheduled opening. Extra Magic Hours will be offered at Disney California Adventure Park on Mondays, Wednesdays and Fridays. It will include access to select attractions, food & beverage and merchandise locations in Cars Land, Golden State, Hollywood Land and Paradise Pier, subject to availability. Late Departure: There are currently no programs or promotions that would allow you to spend extra time in the park at the end of the day. ATMs: ATMs are located near the main entrance, in Pacific Wharf near the Pacific Wharf Cafe and the Little Mermaid attraction, in Paradise Pier near California Screamin' and Paradise Garden Grill, and close to Off the Page in Hollywood Land. The ATMs are provided by Chase and will charge a fee to non-account holders. City Hall: The Guest Relations office is located immediately to the left as you enter the park, with another window to the left near the lockers before you enter the park. The cast members working in this office will be able to answer most questions and help with any issues. Disney Dollars: Disney Dollars are the private currency of Disneyland. Any cash accepting location inside of the park will accept Disney Dollars as well. You can purchase Disney Dollars at Greetings From California store near the entrance to the park. Purchases of Disney Dollars can be made with cash or credit card. One good tip is that to avoid the fees at the ATMs, you can purchase Disney Dollars instead (they will show on your credit card bill as a purchase and not a cash advance). When making a purchase with Disney Dollars change will be given in U.S. currency. Unused Disney Dollars can be returned for cash at the same location. Disney Dollars can be spent at Disneyland, Disney California Adventure, Downtown Disney and anywhere at the Walt Disney Resort. They are not accepted at Disneyland Paris or Tokyo Disneyland (not that you'd want to in Japan, since that would be a very painful exchange rate). Equipment Rental: Strollers, manual wheelchairs, and ECVs can be rented outside the park near the entrance to Disneyland and the dog kennel. Rentals are a flat price for the entire day. If your rented stroller goes missing through the day you can return to the rental station for a replacement. Strollers rent for $15 (two for $25), wheelchairs are $32, and ECVs are $70. 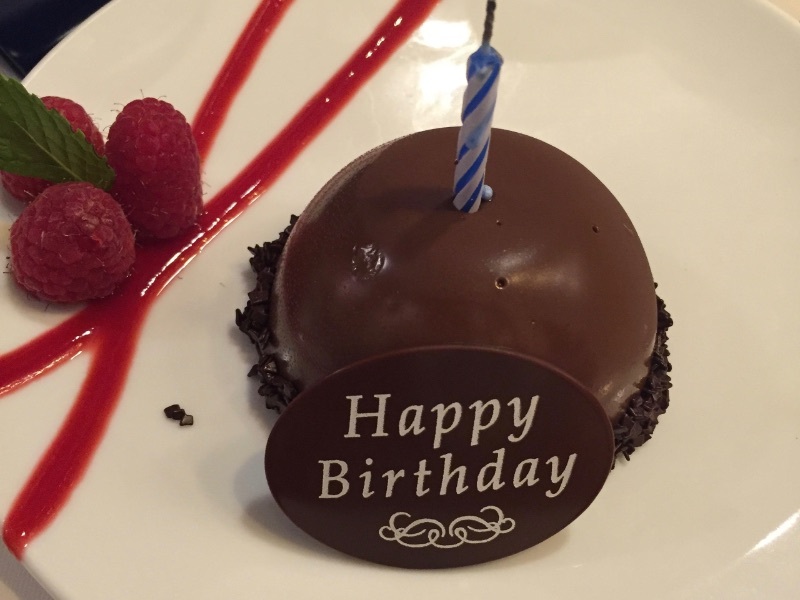 Both the wheelchair and ECV prices include a refundable $20 deposit. 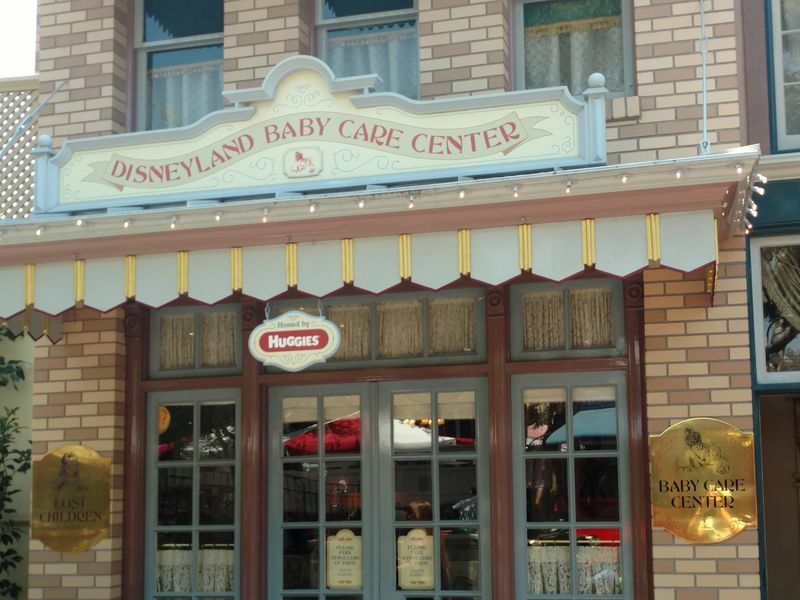 First Aid and Baby Care: The first aid station and baby care center are located next to each other and adjacent to The Bakery Tour in the Pacific Wharf area. The baby center provides a quiet place for feeding as well as size-appropriate toilets. The first aid station can provide over-the-counter medicines for aches or pains as well as bandages for blisters and other minor maladies. If the matter is more serious they can refer you to the nearest hospital facilities or get you the assistance needed. The first aid station is manned by registered nurses. Lockers: There is one locker rental location available inside Disney California Adventure and it is immediately to the right as you enter the park. A second set of lockers is available for short term rental at Grizzly River Rapids, but this is intended as dry storage for people about to go on the ride. 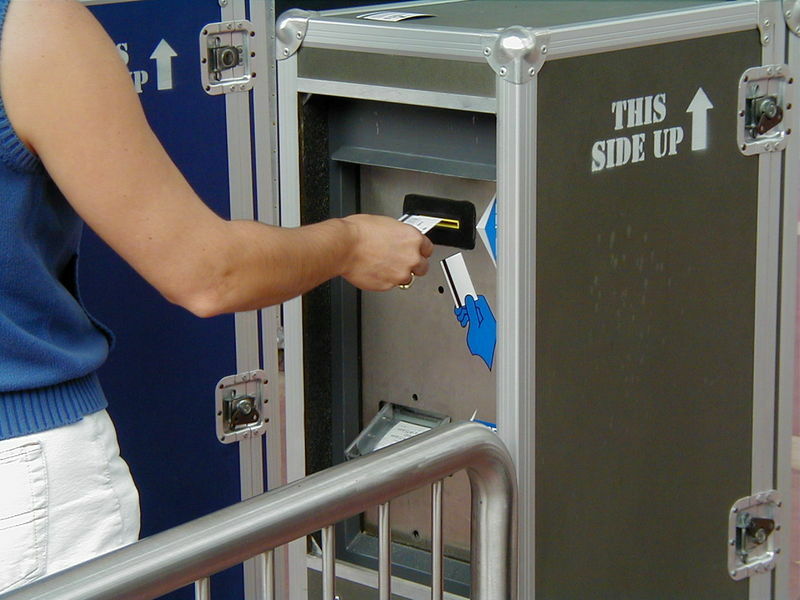 Three locker locations are also available outside of the park: a large locker room (also containing just small and large lockers) is positioned to the left of the entry gates outside of each park and three sizes of larger lockers are found in the picnic area, outside the security checks on the Downtown Disney side. Rental prices are $7, $10, $11, $12, or $15 for a locker, depending on size. Bills and credit cards are accepted, no change is given. A single payment pays for the entire day and you can open and close the locker without further charge. Restrooms: Restrooms are of course easily found throughout the park, with varying levels of amenities and theming. Some smaller restrooms are in out of the way corners and the closest restroom may not be where you think. Kennel: There is a kennel available for dogs and cats just outside of Disneyland Park, to the right of the main gates. The fee is $20 per day and pets can not be left overnight. For all dogs over four months of age, rabies and distemper vaccination certificates are required. Cats over 4 months old need proof of vaccination for rabies, distemper, hepatitis, panleulaopenia, rhinotracheitus and calcivirus. Smoking: Smoking is allowed only in designated areas of the park. 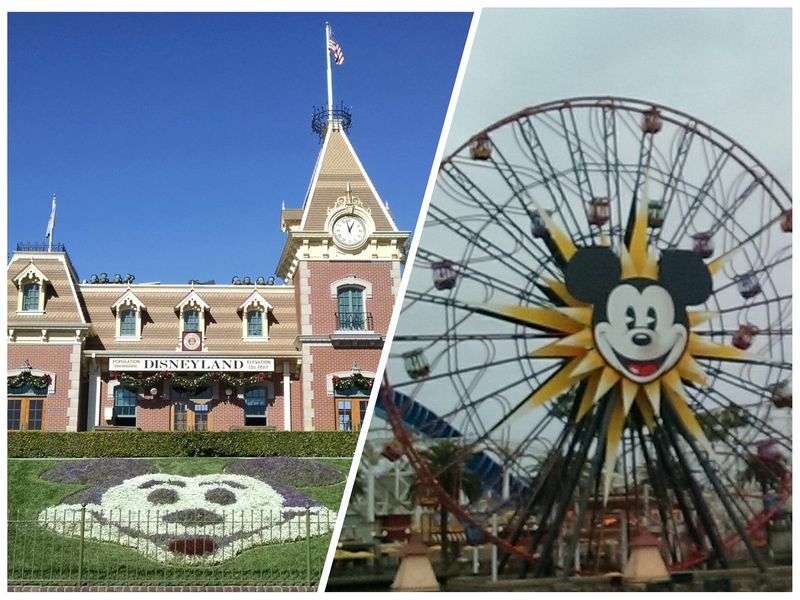 Disney California Adventure has three such areas: in Hollywood Land near Muppet*Vision 3D, in Condor Flats near Soarin' Over California, and in Paradise Pier near Paradise Pier Ice Cream Co.
With the summer 2018 division of Paradise Pier into Paradise Gardens Park and Pixar Pier, there are currently nine official areas of the park. a bug's land Dedicated to the Pixar-animated film A Bug's Life; includes the Bountiful Valley Farm and Flik's Fun Fair areas. Cars Land Radiator Springs brought to life. Grizzly Peak designed to evoke the redwood forests, parks, and mountains from the wilder parts of the state. Hollywood Land Themed to be a Hollywood studio backlot, though this is an increasingly diluted theme. Paradise Gardens Park This area is a throwback to the old oceanside boardwalk parks that used to dot the California coast. Pixar Pier Disney California Adventure's previous Paradise Pier area has been re-imagined into the new "Pixar Pier." This updated area of the park celebrates Pixar favorites such as the Incredibles, Inside Out, and Toy Story. Direct access to the information page for every ride or attraction in Disney California Adventure. To find all the rides and attractions in a specific area of the park, use the links in the previous section, The Lands. Flik's Flyers Fly around in giant Chinese food take-out boxes. Francis' Ladybug Boogie Spin around in circles riding in Francis from A Bug's Life. Heimlich's Chew Chew Train Ride along with Heimlich as he tours the treats in his garden, though candy is always best. Tuck and Roll's Drive'Em Buggies Low-speed bumper cars. 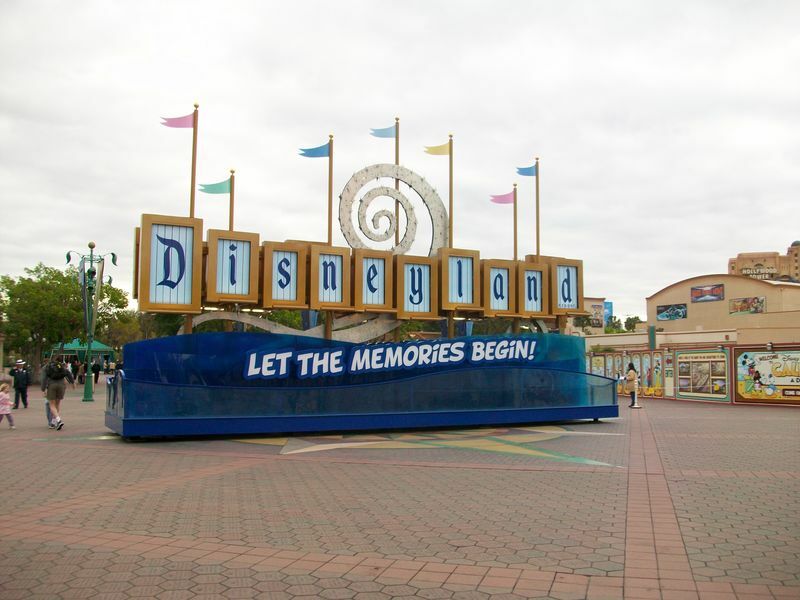 Here you will find a list of selected lands and special events that have been removed from Disney California Adventure. Sunshine Plaza The park's entry area. ElecTRONica Each night, Hollywood Pictures Backlock is turned into a giant promotion for the new TRON movie.